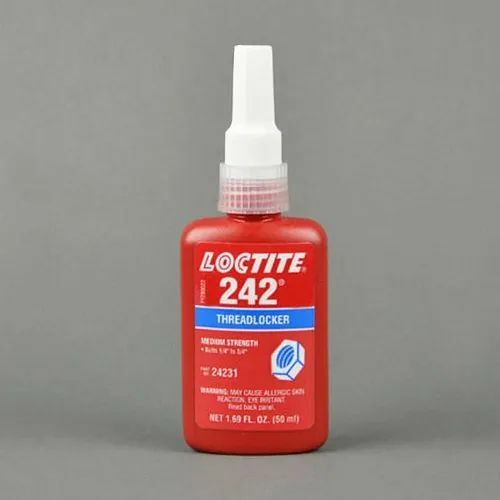 Leveraging the skills of our qualified team of professionals, we are instrumental in offering a wide range of Loctite 242 Threadlocker. Incorporated in the year 1993, we Nilesh Sales Agencies, have uniquely positioned ourselves as the prominent Distributor and trader of an exceptional quality assortment of a Loctite Activator. Offered products range consists of Loctite Threadlocker, Structural Adhesive, etc. Under the direction of our mentor, Mr. Nilesh Mehta, we are able to create a huge patron. Also, owing to his organizational skills and ethical business policies, we are able to achieve success.